Commit to your writing craft! To write with quiet hands is to embrace the journey all writers must take: from seeking inspiration and shaping raw material to cultivating a personal support network, navigating the various pathways to publication, and committing to a lifelong practice. In Writing with Quiet Hands, author and literary agent Paula Munier helps you hone your words into well-crafted stories and balance this satisfying work with the realities and challenges of the publishing world. You’ll learn how to tame your muse, manage your time wisely, and treat your practice with the seriousness it deserves. You’ll develop a distinct voice, write with style and substance, employ the tenets of strong structure, and engage your readers by injecting narrative thrust into your stories. You’ll explore the finer aspects of craft, refine your work, and boldly bridge the gap between published and unpublished. From drafting and revising to querying agents, you’ll discover the secrets to writing artfully, and publishing bravely. Fulfilling and rewarding writing careers are forged from the successful marriage of craft and business know-how. Are you ready to embark on your journey, armed with both grace and grit? Are you ready to write with quiet hands? Honest, inspiring, and very useful. Paula Munier's Writing with Quiet Hands is the real deal. Munier knows writing and publishing from all the angles and covers them in such a way as to teach, inspire, and encourage. If you want to learn, turn the pages and behold. Paula Munier has been a wizard behind the scenes of the New England mystery community for years. In Writing with Quiet Hands, she makes her wisdom available to everyone who's ever thought about writing a novel. It's a practical, inspiring handbook on the craft and practice of writing, and the next best thing to taking one of her workshops. Writing with Quiet Hands is loaded with tips and tools, firsthand experience, and down-to-earth advice from a writer, editor, and agent who's seen it from all sides. Paula Munier gives it to you straight as she dissects the inspiration, perspiration, and dogged determination it takes to set and meet your writing goals. This book will keep you sane. In the tradition of Stephen King's On Writing, Paula Munier embeds her sound advice on every aspect of writing—from drafts to rewrites to getting published—into her own inspirational story of her life as an editor, author, and agent. 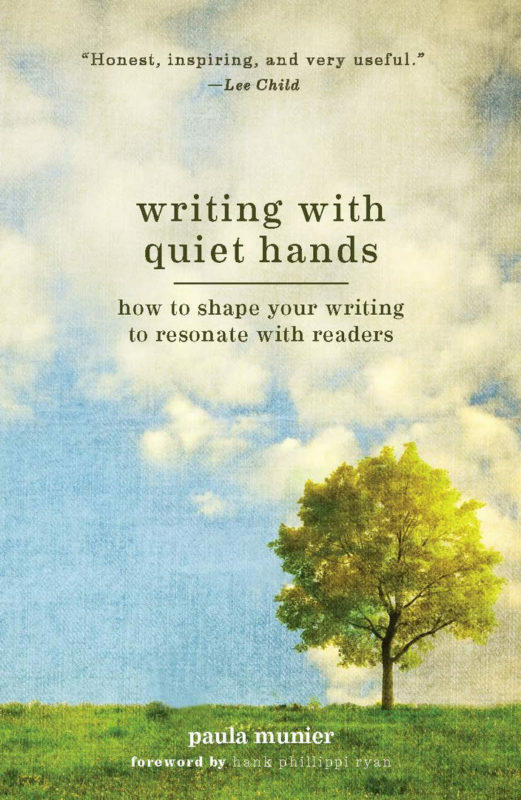 Blending personal anecdotes, examples from published authors, and prompts for the aspiring writer, Writing with Quiet Hands is a well-rounded guide that deserves a place on every writer's bookshelf.